This entry was posted in Aquamarine and tagged aqua, aquamarine, Beryl, brazil, Gem Cutting, gems at large, gemstones, John and Laura Ramsey, john ramsey, laura ramsey, march birthstone, ramseygems, Ramseygems.com, rough gems by John and Laura. Bookmark the permalink. 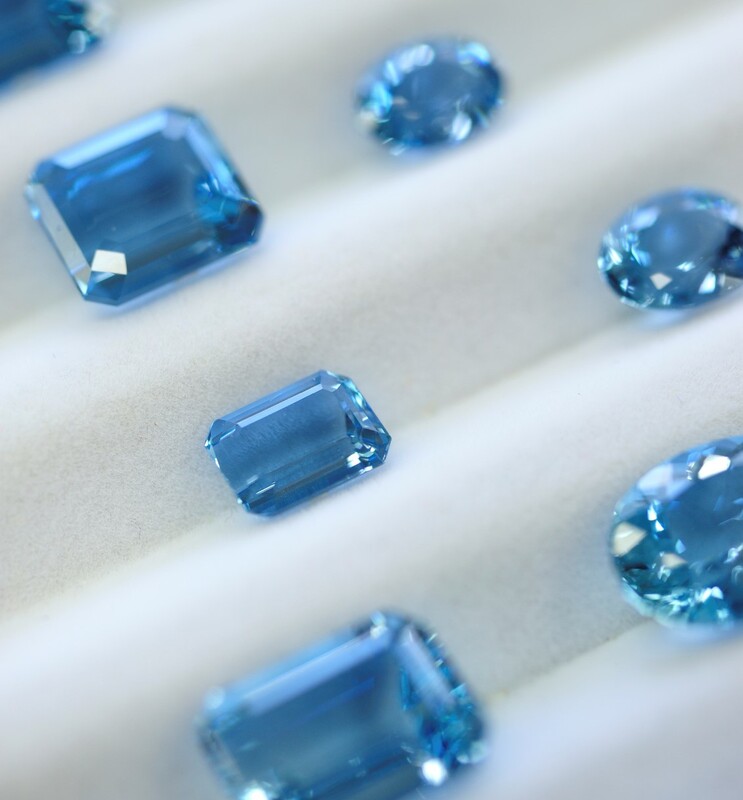 Are there still Aquamarine stones with such a rich color? The ones I’ve seen are more pale. Phyllis— from time to time there are some great pieces available. A fellow I know just started mining for aqua in Mozambique. His mine has supposedly produced super top quality in the past. Hope to be able to pass on some of his production in months or years to come–depending upon whether he finds some great aqua or just finds dirt. Sounds hopeful. Please keep me in mind when and if you get some specimens. And please post a photo on this site if possible. Thanks!